Please note that our year-end reconciliation and stock-take happens during the last week of February and the first week of March, so there may be the possibility of a 3-5 day delay in processing your order during this period. Tuesday, 2nd March - 07.00 - Normal service has now been resumed! We are very pleased to bring you this eagerly awaited manual on bookbinding. 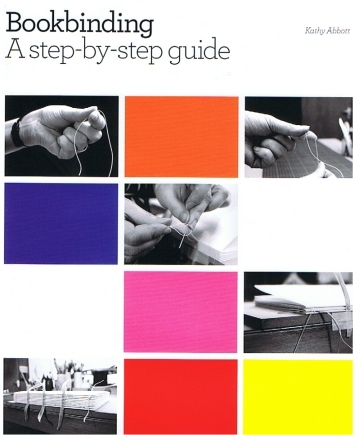 We believe that 'Bookbinding - A Step-by-Step Guide' will become one of the definitive instruction manuals to the craft. 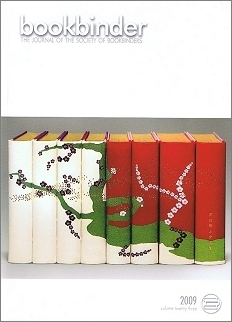 The craft of bookbinding has a long history steeped in beauty and tradition. It has developed through the ages and is now enjoying a period of renewed popularity and creativity. Whether you are a beginner or an established bookbinder wishing to refresh your memory, this practical book introduces the techniques with step-by-step instructions and photographs. Written by distinguished bookbinder and teacher, Kathy Abbott, it explains how to transform a few sheets of paper and some thread into a book to be proud of. For the more experienced, Kathy also covers how to work with leather to create classic, professional bindings.